“Guardians of the Galaxy Vol. 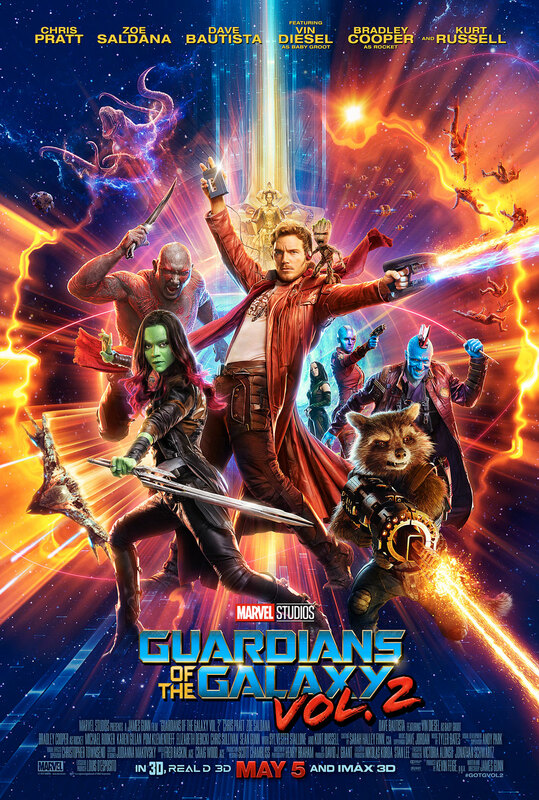 2” begins with one of my favorite Marvel set pieces to date: as Peter, Gamora, Drax (Dave Bautista) and Rocket (Bradley Cooper) unleash holy hell on a giant tentacled beast, Baby Groot (Vin Diesel) joyfully dances amid the chaos to the sounds of ELO’s “Mr. Blue Sky.” It’s a perfect representation of the light, fun tone that defines “Guardians of the Galaxy,” and although the movie never quite reaches the same highs again (save perhaps for Yondu’s climactic action scene), the opening sequence sets the stage for what’s to come. “Vol. 2” is a much funnier movie in many respects, but it also has a richer emotional throughline. If the first film was about the Guardians becoming a family, then the sequel is about them trying to stay together – something that’s easier said than done for this dysfunctional group of misfits. The main cast picks up where they left off without missing a beat, while Gillan and Rooker thrive in expanded roles that dig deeper into their respective backstories. All of the new characters are great additions as well, especially Pom Klementieff’s Mantis, a socially awkward empath with the ability to read other people’s feelings by touching them. Her scenes with Drax, who gets stuck babysitting Mantis, earn some of the biggest laughs. Like most Marvel films, however, “Vol. 2” falls short in the villain department, though that has more to do with the fact that the main baddie doesn’t really appear until the final act. 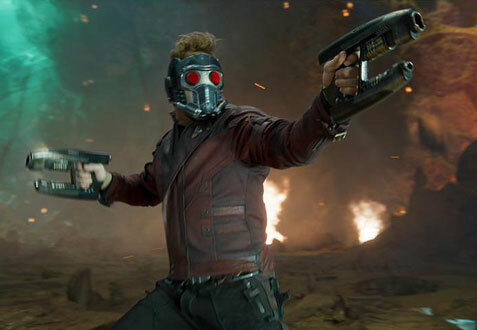 Instead, the Guardians must battle several different antagonists throughout the movie, including Gillan’s Nebula, Debicki’s Ayesha and Chris Sullivan’s aptly named Taserface. Although the numerous villains overcomplicates things slightly and the father/son plotline doesn’t get the attention it deserves (Russell does a good job as Ego, but he’s woefully underused), the film as a whole expands the universe in so many exciting ways that the overstuffed script is forgivable. “Guardians of the Galaxy” may be primarily Peter’s story, but it’s the dynamic among all five members that makes it such a unique and entertaining property. “Vol. 2” is very mindful of this, and for the most part, it doesn’t disappoint. But while the movie lacks the surprise factor of its predecessor, the real delight is just getting to spend time with these wonderful characters again.